Coincident is excited to announce that 8 years after its introduction, the Pure Reference Extremes are undergoing an update of significant proportions. The improvements include the following:. While the cost of the mods are substantial, the price increase will be offered on an introductory price at only $3000 US more per pair - $29,999 US /pr. For those who wish to separate the Monitor from the subwoofer, we offer the Pure Reference Extreme Stands. They are constructed from the same special MDF of all Coincident enclosures which provide for the highest rigidity and minimal resonance. The base is 2 inches thick while the center post is 4" x 6" and are finished in the same Ash veneer as the speakers. Spikes are included. There is no speaker stand in existence that is superior. Speaker Connection - The best method sonically is to connect one pair of speaker cables from the subwoofers to the amp and another speaker cable from the monitors to the amplifier. An alternative method - Connect a speaker cable from the subwoofers to the monitors and another speaker cable from the monitors or the subwoofers to the amplifier. The desire to create a breakthrough in any field of human endeavor must be fueled by a burning passion to be the best. Coupled with this must include the requisite expertise and the experience necessary to actually accomplish this daunting task. Further add the endless hours of time and labor with the need for boundless energy and the prospect of succeeding may nevertheless still prove illusive. However, when all of the above ingredients coalesce and the goal is attained, the result is the Coincident Speaker Technology Pure Reference Extreme Loudspeaker. 4. Very tight bass tuning (which makes it easier for low damping factor- high output impedance amplifiers like SETs to control the woofers). 5. Simple first order crossovers which do not rob amplifier power or reduce speaker sensitivity. Many audiophiles believe the most accurate amplifiers are single ended triode tube designs, yet few speakers are capable of being properly driven by these amps. This creates a paradox of sorts. Speakers need amplifiers to create sound, yet the finest amplifiers cannot be used by virtually all the state of the art speaker contenders. 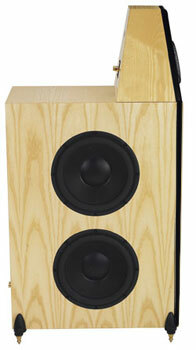 These speakers must then be mated to inferior sounding amplifiers with resultant compromised sound. The Coincident solution is to create the finest loudspeaker that can be optimally driven by the finest amplifiers. The end result is the most accurate musical reproduction possible. To create a state of the art loudspeaker requires that every component used in the design is the finest and that the sum of its parts are synergistically matched so that the final product is a unified whole. Therefore, not only must the design and concept of the speaker be state of the art, so too must the execution. This means that all the ingredients which comprise a speaker must be given equal attention with none being deemed less significant. Everything ultimately affects the sound, no matter how seemingly trivial it may appear to be. 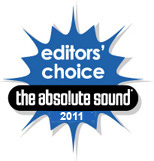 Everything used in the Pure Reference Extreme was thought out in excruciating detail, tested and verified. From the less observable parts such as mounting bolts, wiring length, and solder to the more obvious such as crossover components, drivers and enclosure materials, nothing was left to chance. The Pure Reference is state of the art in every conceivable manner. 1. Not only because they represent the finest currently available, but because they conform optimally to the intended design. 2. Are very robust and reliable. They can handle tremendous amounts of power with no sense of strain or fear of break down. Yet at the same they are highly sensitive and require very little power to achieve high sound pressure levels. 3. Have very wide bandwith and smooth roll off characteristics outside of their respective optimum frequency range. 4. Possess very uniform impedance modulus. All of the above listed factors mean that the crossovers used in the Pure Reference Extreme can be exceptionally simple with only one component in the signal path for each frequency section. Impedance correction components are not even required, so smooth is the impedance curves. All this translates to unrivalled purity and transparency. The uniquely special qualities of the tweeter and particularly the midrange driver, allowed for the first time, a state of the art, full range speaker using only 2 drivers to cover the frequency range from 100hz – 27khz with the midrange unit alone reproducing all the midrange frequencies. This meant no crossovers or differing drive units with their own individual sonic signatures involved in reproducing the highly crucial midrange. All the mid frequencies now speak with one voice. This sense of cohesion is immediately apparent in contrast to other competing speakers. Not only do all instruments not change character as the frequency range is traversed, the precise localization of instruments in space takes on a palpable realism that is spooky. In order to reproduce all the upper frequencies with complete transparency, transient speed and precision and simultaneously be capable of capturing all the attendant harmonics necessitated the employment of a tweeter with ultra low mass, extremely high cone rigidity and hardness. The driver that perfectly fits this bill is the Accuton ceramic tweeter. The stiffness/weight ratio of this tweeter is unsurpassed with the only exception being that company's diamond diaphragm unit. There is no sound that can elude its very nimble grasp yet its inherent strength permits its response to well beyond the limits of human hearing. Furthermore, this special tweeter presents a purely resistive, totally flat 8 ohm load with no dips, no peaks or spikes. Very high sensitivity is partly due to the use of a powerful neodymium magnet structure. A very solid, and acoustically inert faceplate ensures resonant free reproduction and the elimination of diffraction affects. This tweeter has proven to be nearly indestructible. It can be driven to high SPLs with distortion artifacts that are vanishingly low. Furthermore, at low or high levels, there is no change in sonic characteristics. The tweeter always sounds detailed, smooth and refined. The all important midrange is where the majority of the music emanates. No speaker that aspires to state of the art status can be compromised in this vital area of performance. To that end, what many would consider the purest driver available for this task was chosen for the Pure Reference. 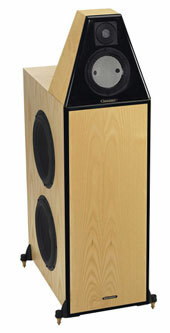 The Accuton 6.5" ceramic midrange proved to be the perfect choice on many levels. Firstly, it happens to be the highest resolution, lowest coloration driver capable of flat response from 100hz – 4khz. Secondly, since it is constructed using the same cone material as the tweeter, no other driver could be as cohesive and seamless. The combination of the tweeter and its companion midrange sound like one driver operating from 100 hz – 25khz. The midrange unit features an oversize neodymium magnet for very high sensitivity, a titanium voice coil former and a double roll surround for complete linear motion. Terminals are thick gauge, gold plated copper which ensures large contact area and a very solid connection. While this driver has very flat, even response from 70 Hz – 6000 Hz, it is operated in the Pure Reference Extreme only from 110hz to 4 KHz. Therefore, the midrange driver reproduces all the midrange frequencies (where the ear is most sensitive to crossover and phase anomalies). Couple this to a tweeter that has virtually the identical sonic characteristics and the end result is the coherency of a single driver, crossoverless speaker. The midrange driver is rolled off at the low end acoustically by the use of bass tuning, ( the purest way to accomplish this) not electrically which would require the addition of another component(a large value capacitor) in the signal path This limited operating range ensures completely optimized response, highest sensitivity and power handling capability and lowest distortion. Preventing the driver from reproducing the bottom octaves relieves the midrange units from unnecessary long cone excursions which increases upper frequency distortion. The remarkable ceramic midrange's wide frequency response, high power handling capability, high sensitivity and state of the art sonics all combine to allow for the first time, the use of a single driver to reproduce all the midrange frequencies in a reference loudspeaker. In the past, due to the inherent limitations of conventional midrange transducers, multiple drivers were required and they still had to be limited in response since they could not adequately cover the range of frequencies from 100hz- 4khz. Coincident is a firm believer that simple is always better when it is possible. The Accuton high sensitivity version ceramic midrange, not only made it possible but does it better as well. For state of the art reproduction, subwoofer bass that is seamless with the mids and the highs is mandatory. Not only must the bass extend flat to 20 Hz, with weight, authority and impact, the low frequencies must be articulate, tightly tuned and never sound boomy, or out of balance with the rest of the frequency spectrum. 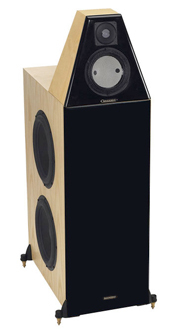 It is in the midbass and low bass where most speakers suffer badly with comparison to live music. When attending a concert the visceral impact of bass and midbass instruments (such as drums, double bass etc.) is awe inspiring. The sense of weight and intensity can be heard as well as felt. This rarely if ever happens when listening to music at home on an audio system. It is in this area of performance, possibly more than any other, that home speakers fail to measure up. The speakers that are relatively adept in this area are mostly hopelessly inadequate everywhere else. Conversely, the speakers that are transparent and truthful in the midrange and the highs most often do not at all recreate the sense of drama and intensity in the low frequencies. Are these two areas of performance mutually exclusive? For the overwhelming majority of speakers, the answer is yes. There exist very few speakers that are smaller than a mini van and cost less than a bungalow that can do it all. Until now, that is. The Pure Reference Extreme is unique among speakers of reasonable size and cost, that can with equal aplomb capture the sound of a pin dropping and realistically recreate the furor of a cannon being shot. How is this accomplished? It starts with an enclosure of the proper volume (the laws of physics must be adhered to) and total rigidity and ends with the selection of the finest woofers that money can buy that are specifically designed for this purpose. The new 12" extra long stroke unit employed in the Pure Reference Extreme has pushed the performance limits for subwoofers. The construction standards are truly remarkable: Thick cast iron frame ensures complete rigidity, heavy duty, stiff, aluminum cone that is almost impervious to flexing, a magnet structure that weighs in excess of 15 lbs., thick gauge gold plated copper terminals to maintain high current capability. This driver fulfills every demand for deep bass (f3 is 17 Hz). With its unlimited power handling capacity, 110 db levels at 20 Hz with virtually immeasurable distortion and complete long term reliability, this new design accomplishes state of the art bass reproduction that was previously not possible. While a single driver will excite and please the most demanding bass aficionado, imagine what two of these per speaker will accomplish. The Pure Reference Extreme uses a pair of these remarkable subwoofers in each speaker. For the first time, live music impact, punch, and genuine subwoofer bass with all the visceral excitement experienced when attending a concert is a reality. Because the tuning of the woofers is extremely tight, there is no concern about overloading a moderate size room with excessive bass. The bottom octaves, for all their explosive dynamic capability, are perfectly in balance with the midrange and the highs. There is no accentuation of any frequency range. The Pure Reference Extreme is beautifully balanced from top to bottom. Indeed, the speaker not only measures virtually flat from 20Hz – 20 khz, it sounds that way as well. The Pure Reference Extreme out of necessity, is a two enclosure structure in order to create a state of the art design. The enclosure is a true case of form following function and fulfills its mandate as a truly full range (20 Hz – 20Khz) state of the art transducer. This is a simple case of adhering to the laws of physics. In order to achieve true, undistorted 20 Hz bass response, the cabinet volume must be a predetermined size (and that means big). Constructing a speaker of proportion this generous and have it be as non resonant and inert as a small speaker, proved to be a monumental task. The challenge commences with the selection of the base material- 1.15" MDF Hardwood which is veneered in furniture grade Ash inside and out. The tweeter and the midranges are housed in their own ported enclosure which contains computer designed window braces horizontally placed between each driver. The woofers are mirror imaged side mounted on a double MDF wall (2.3" thick) so that their massive cone excursion capability would have a totally rigid foundation impervious to any flexing. Computer designed window braces are horizontally located between and vertically placed beside each woofer to further augment the integrity of the enclosure. In fact, computer designed window braces are placed every 6" within the enclosure to ensure that the cabinet is absolutely rigid. As with all Coincident speaker enclosures, the fundamental resonance frequency is benignly high (350 Hz). All this effort, technology and innovative design and meticulous execution results in an enclosure that does not contribute its own sonic signature to the sound. As with all Coincident speakers, first order crossovers (which are the purest and preserve phase coherency) are used with only the finest components, matched to within 1%, all hardwired with lead to lead construction (eschewing the use of unnecessary wires or connectors). The signal path contains only one capacitor (Mundorf – The most transparent cap for the purpose) and two inductors (proprietary 10 AWG OFC Litz - one for the midrange and one for the bass). That is it. Elegant simplicity but as Einstein remarked- not too simple. This crossover is the most transparent, unobtrusive in existence. In bypass tests, its presence is virtually undetectable. State of the art design and construction with lifetime reliability. Impedance: 8 ohms ( never dipping below 6 or going above 10 ohms). Sub Woofer - 2- 12 " Aluminum Cone Heavy Duty woofers.